Yes…I just quoted a country song. It seems fitting for what I am doing in life. The shop was a gamble. I planned, I budgeted, I tried. I had a good time. I cried a bit. It was frustrating at times, trying to get people to come along for the ride. 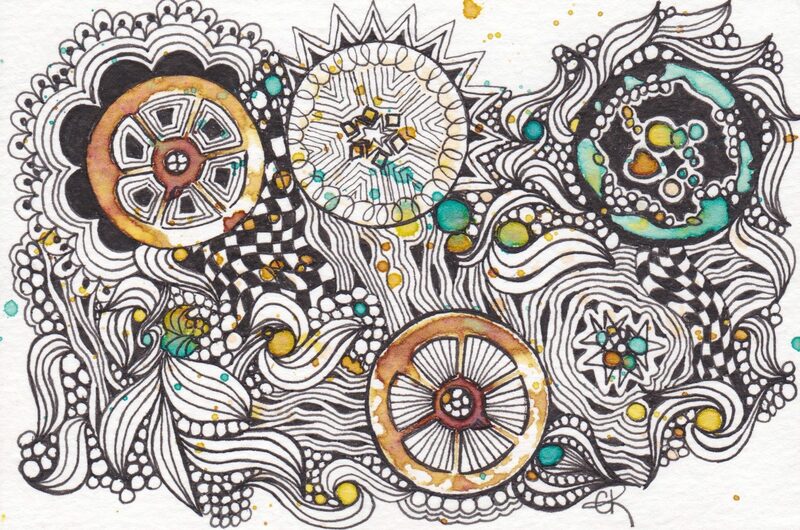 My plan after closing the physical location was to keep the Online Store open so I could help people afford supplies for Zentangle® and whatever other art they practiced. But with the increase in postage rates, and increases in our local in district taxes here in rainy California, I am just not seeing a way to do that. So…that being said. I am having a HUGE inventory sell down. Starting out at 25% off EVERYTHING in stock. EVERYTHING. Nothing is excluded. If it is in the store, it is on sale. Some fine print here: I have done my utmost to make sure the inventory is up to date. There may be items where the counts are off…it happens when you are a one person production. If an item does turn out to be not in stock for this reason, I will refund your money for that item, or if you like, cancel your order. If you are still reading here, do not be sad for me. When one door closes, another one opens. There are some fun things in the pipeline and I will be letting everyone in on it later!